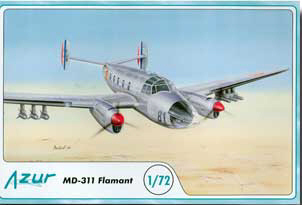 For a long time after WWII, the two-engined Flamant was a very common sight in the skies over France. Many pilots, navigators and gunners were trained on this aircraft. The kit contains 3 sprues with grey plastic parts, injected canopies, resin and photo-etched parts.